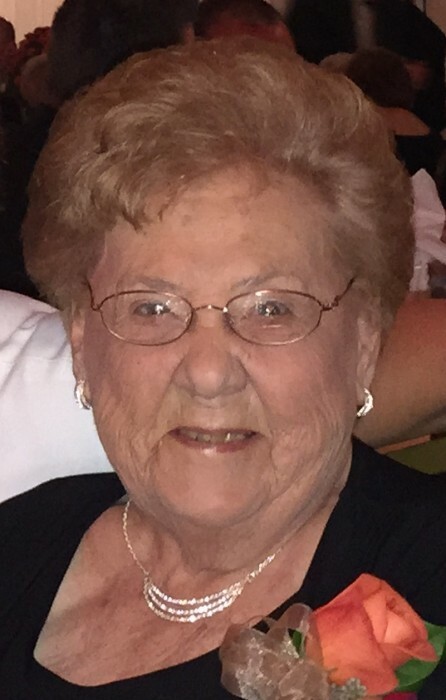 Doris Gabrielle (Columbie) Misani, 85, of Bakerville, CT, peacefully passed away Monday, September 10, 2018, at her home. She was the beloved wife of Peter Misani for 64 years. Doris was born August 3, 1933, in Torrington, CT, daughter of the late Henry and Cesira (Sarri) Columbie. She was employed by Charlotte Hungerford Hospital in the Housekeeping department where she enjoyed working with the public. She also enjoyed taking long car rides through the Northeast with her husband Peter, their vacation trips to Lake George, Saratoga, Cape Cod, as well as traveling to Florida and Switzerland. Doris also enjoyed word search puzzles, watching the Food Network channel and spending time with her family. In addition to her devoted husband, Peter, she is survived by two sons, Remy Misani (Darlene) of Torrington, Peter Misani (Debbie) of Harwinton; one daughter, Laura Girolimon (Tom) of Torrington; six grandsons, Remy Misani, Jr., Peter Misani, Jr., Jeffery Misani, Ryan Misani, Justin Girolimon, Eric Girolimon; three great grandchildren, Hailey Misani, Logan Misani, Emma Misani, as well as several nieces, nephews and cousins. She was predeceased by two sisters, Barbara Lovallo and Lorraine Thibault. The funeral will be held on Thursday, September 13, 2018, with the cortege leaving at 10:30 a.m. from Cook Funeral Home, 82 Litchfield St., Torrington, to St. Paul’s Lutheran Church, 837 Charles St., Torrington, CT for Services at 11:00 a.m. Burial will follow at Hillside Cemetery. Calling hours will be held on Wednesday, September 12, 2018, from 6:00 p.m. to 8:00 p.m. at Cook Funeral Home.